Birdseed is the most popular type of food to offer backyard birds, but there are many types of birdseed and not all of them appeal to all birds. Understanding how to choose the best birdseed can help you offer the most desirable foods to your local birds, which can attract even more species to your feeders. 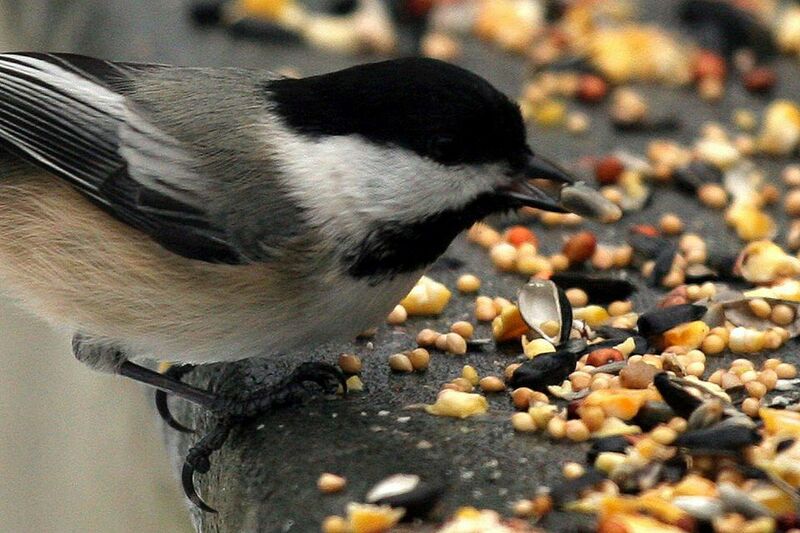 The biggest bird-feeding mistake many novice birders make is choosing birdseed for birds they hope to attract, not the birds already in their yard. Birds are gregarious, social creatures, and they will readily investigate any area of feeding activity. If you only have a few birds already in your yard, it is best to choose seed for those species first. As those initial birds get more active feeding in your yard, other species will join in to see what offerings are at the buffet. Then you can add new types of birdseed and new feeders, gradually building up to a full-service birdseed restaurant. Mix Proportions: If choosing a blend of different seeds, opt for one with a higher proportion of better seeds such as sunflower or millet. Lower quality, less popular mixes often have more fillers like milo and cracked corn, as well as wheat, oats, or other grains birds don't eat as readily. Freshness: Fresh seed will not have excessive dust, empty hulls, or inedible debris in the mix. Also investigate the seed for any sign of mold, mildew, or insect infestation, such as clumps, webbing, moths, worms, or feces. Quantity: Larger quantities of birdseed are often a better value at a bulk price. Only purchase seed you can feed to birds before it is stale or spoiled, however, to avoid wasting money on seed that won't be used. Packaging: Better quality birdseed is often packaged in sturdy plastic or coated paper bags, possibly with easy-to-open tabs or handles for carrying. Look especially for clear packaging that allows inspection of the product before purchase. In some places, you may be able to purchase seed from open bulk containers, allowing close inspection of the seed and letting you get just the quantity you need. Ingredients: Check the ingredient list on every package of birdseed to ensure it has not been treated with pesticides or insecticides that can be toxic to birds. The list may also name the proportions of seeds used in different blends. Price: Higher prices do not necessarily mean higher quality seed. Sales are a great way to stock up on a supply of birdseed, and bulk purchases almost always are a better value than smaller packages. The most important thing to remember when choosing birdseed is that not all birds enjoy seed. Adding other types of bird foods such as suet, fruit, nectar, and nuts to your backyard buffet is the best way to attract birds. Many types of birds will sample seeds, and creating feeding stations that offer a range of the best birdseed and other foods is the most effective way to attract birds to your feeders.